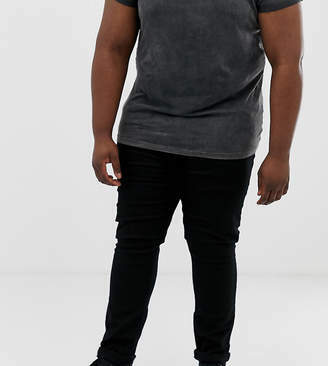 Big Tall jeans by Burton Menswear London, Clean-black wash, A wardrobe staple, Regular rise, Zip fly, Five pockets, Logo patch to back, Tapered fit, Cut loosely around the thigh and tapered from the knee to the ankle. British brand Burton Menswear London combines a long heritage of tailoring with a modern take on relaxed formal and casualwear to bring an added hint of freshness to every occasion. Expect classic shirting and knitwear.